Final WEEE collection figures for 2018 released this month show that the UK achieved 92% of the 2018 WEEE collection target set by Defra. Only two categories exceeded their individual targets, Small Household Appliances and Photovoltaic Panels. Despite missing the target for a second year running with an overall shortfall of 43,742 tonnes, 2018 has performed better than 2017 which saw a shortfall of nearly 100,000 tonnes. 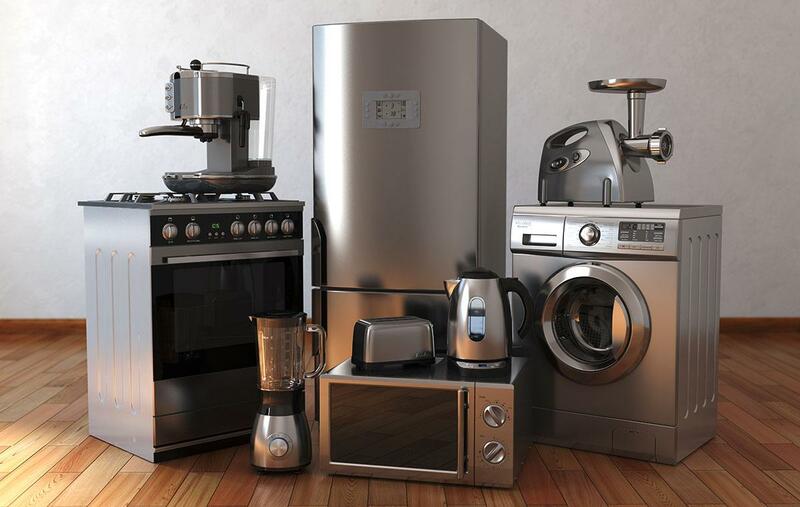 The biggest tonnage shortfall was witnessed by Large Household Appliances which also had the largest target. Other significant shortfalls include the categories of IT and Telecomms, Consumer Equipment, Display Equipment and Refrigerants. Such a shortfall means that compliance schemes will be reliant on the WEEE compliance fee to ensure they meet their obligations. The fee is an alternative way for schemes to comply that feeds into a multi-million pound fund designed to help the UK meet its targets. Recently it was announced that the fee fund will fund research into routes to waste for EEE, to address concerns of the widening gap between placed on market EEE and collected WEEE. Robbie Staniforth, head of policy at B2B Compliance, commented “These figures illustrate that DEFRA has not considered the recycling capacity of the WEEE market in the UK. Clearly, urgent revisions to the existing system are required. Proposed increased WEEE targets for 2019 were announced recently, demonstrating that Defra is continuing to align the UK with the EU by aiming to meet the higher 65% target. Targets have increased particularly sharply for producers of tools, toys and miscellaneous small domestic products. Whether this will actually stimulate additional collections and recycling remains to be seen however. A big concern is that historically, when the government have set high targets, it has not led to more WEEE being collected. 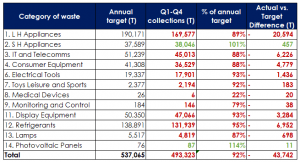 The figures for non-household WEEE collections also tell a worrying story too, with 2018 seeing the lowest ever collection total since 2008. The table below focuses on the last five years and illustrates how a slight improvement in 2016 and 2017 has been dashed by a new low in 2018. It is clear that there is poor producer understanding and reporting within non-household collections. B2B Compliance complete hundreds of specialist non-household equipment collections every year for our members and it is an important issue that we are speaking to Defra about, as some producers are not clear on their responsibilities. Please click here to find out more about how B2B Compliance can assist you with WEEE collections.